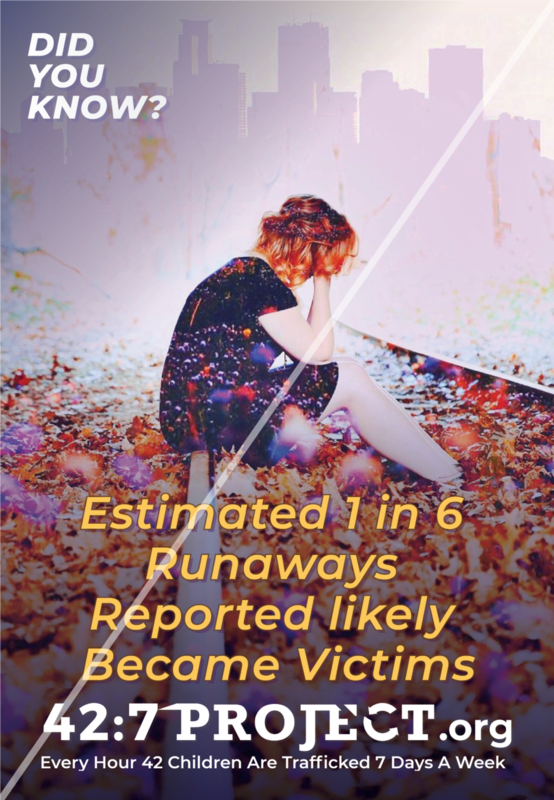 The 42:7 PROJECT "DID yOU kNOW"
The 42:7 PROJECT "DID YOU KNOW" AD Campaign features Story brought through Art, Statistics and further Learning to communicate the story of the trafficking of Children in the U.S. with the purpose of Awareness, Education and Rescue. Surveying past Victims, the second way they are rescued after Law Enforcement is billboard messaging. The 42:7 PROJECT refers to Law Enforcement while bringing Education & Awareness to the general public. The "DID YOU KNOW" campaign stories will be seen by 4.5 Million Eyes, and is on digital display boards at all Metro Transit Light-Rail stations in the neighboring cities that run into, as well as are in, downtown Minneapolis. The Ad campaign is also featured at several Metro transit Bus stops in downtown Minneapolis with 6 x 4 foot billboards. 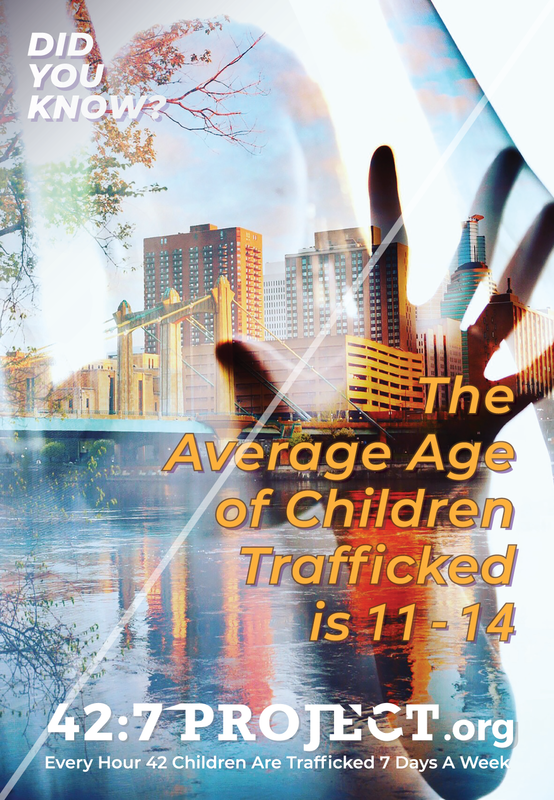 '42:7' means 42 Children are Trafficked Every Hour, 7 days a week. It is a 7 day a week problem, 365 days a year. Positive people bring positive answers. 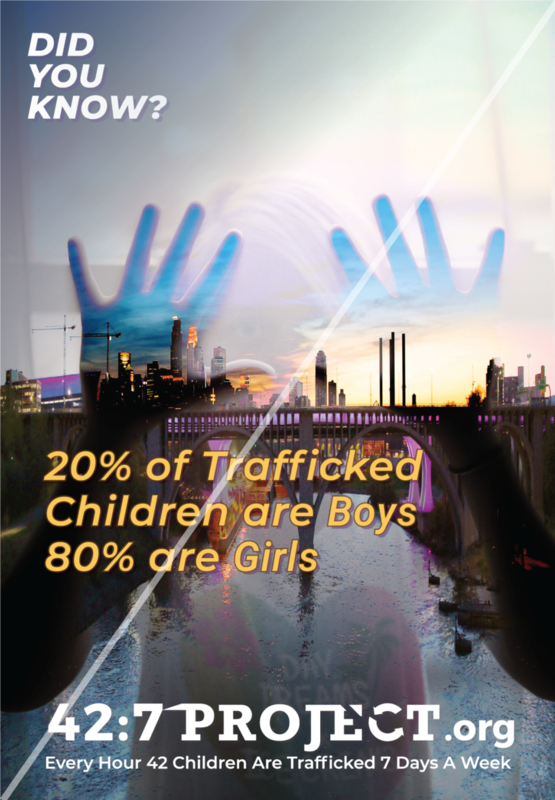 You can be #MinnesotaBOLD against the human trafficking of Children. All rights reserved. No part may be reproduced, stored in a retrievable system or transmitted in any form or by any means electronic, mechanical, photocopying, recording, or otherwise without prior permission in writing from the publisher or the private media kit for press.